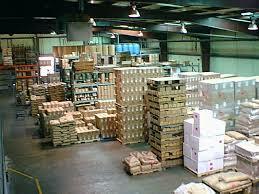 We have our own general and bounded Warehouse. Bonded warehouse is a building or other secured area in which dutiable goods may be stored, manipulated, or undergo manufacturing operations without payment of duty. withdrawn for consumption domestically after payment of duty. While the goods are in the bonded warehouse, they may, under supervision by the customs authority, be manipulated by cleaning, sorting, repacking, or otherwise changing their condition by processes that do not amount to manufacturing. After manipulation, and within the warehousing period, the goods may be exported without the payment of duty, or they may be withdrawn for consumption upon payment of duty at the rate applicable to the goods in their manipulated condition at the time of withdrawal. In the United States, goods may remain in the bonded warehouse up to five years from the date of importation.Bonded warehouses provide specialized storage services such as deep freeze or bulk liquid storage, commodity processing, and coordination with transportation, and are an integral part of the global supply chain. Fullfiling clients demand, we have our own Genaral Warehouse, We arranged also a joint cooperation with the warehouse operator around seaport (CFS Warehouse), and also around the cargo terminal in the airport.